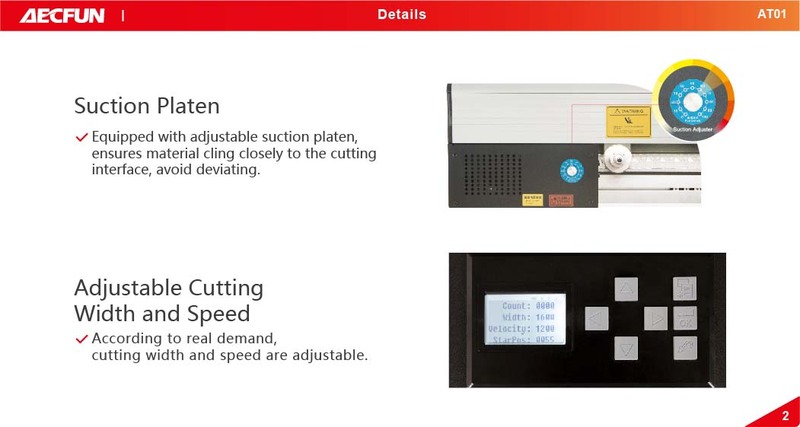 Electric paper trimmer is especially for cutting various advertising coiled materials, contributes to graphic post progressing. 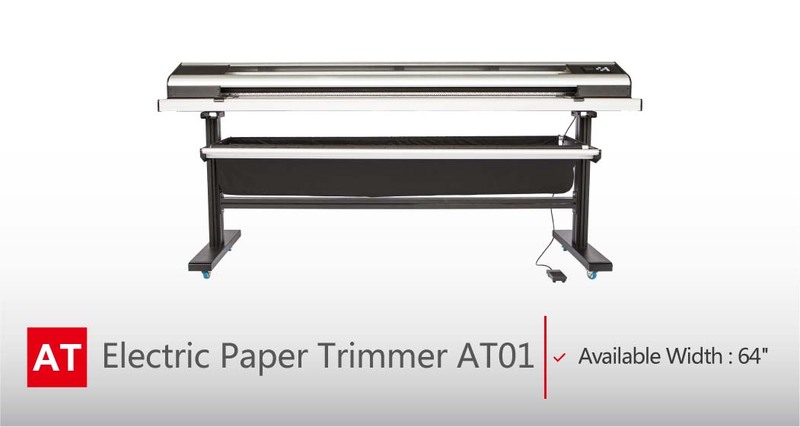 Electric paper trimmer is widely used in advertising making, exhibition organizers, picture production, studio and many other fields. 1. 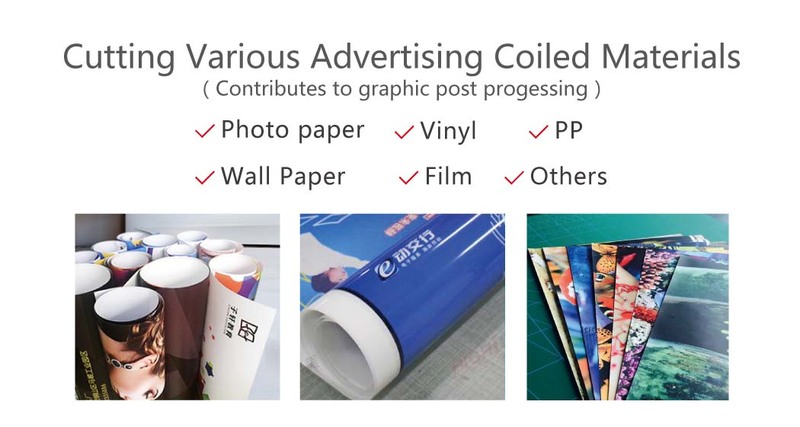 Especially for cutting various advertising paper, pvc, film, wallpaper, transfer paper, car sticker, adhesive sticker, PVC, PP,etc..
Ⅰ.Large format working width, Adjustable cutting speed and length. 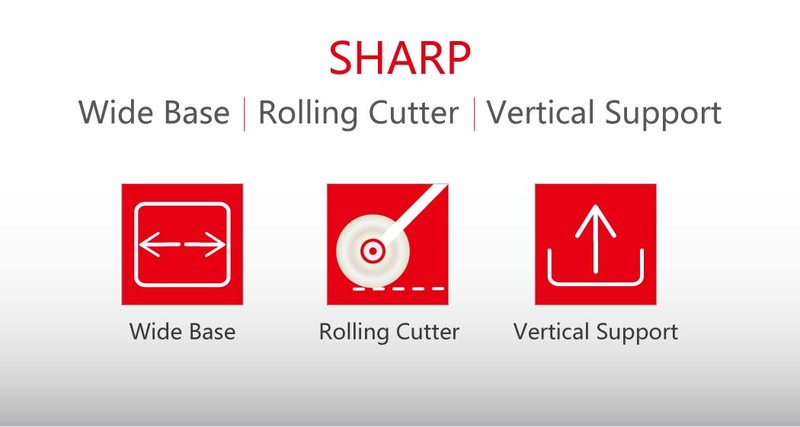 Ⅱ.Bi-directional self-sharpening rotary blade with imported tool steel, strong and durable. Ⅲ.Cutting switch by hand or by foot pedal is optional. Ⅳ.Big waste catcher keep your work place tidy. 1. Q: What’s kind of material can it cut? 2. 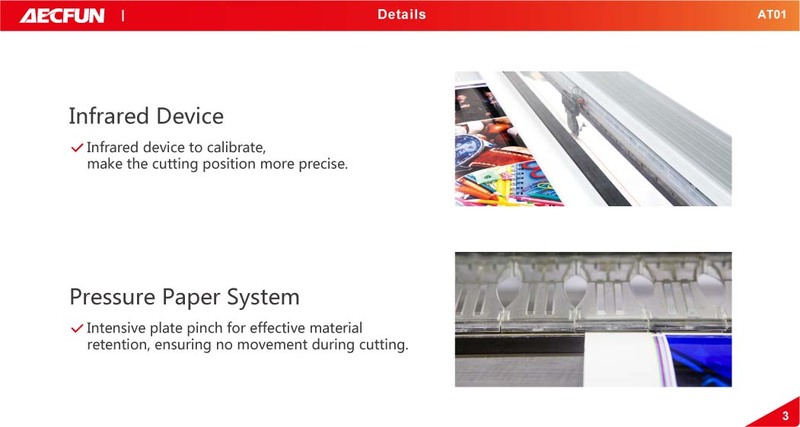 Q:Is it workable for cutting Car sticker and Adhesive sticker? A: Yes, but the blade needs to be cleaned regularly. 3. 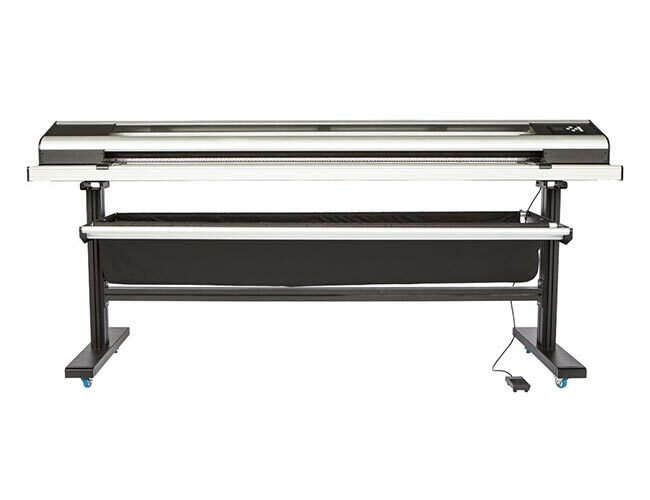 Q:Does it workable for cutting KT board and sintra board ? 4. Q: What’s the working life of blade? 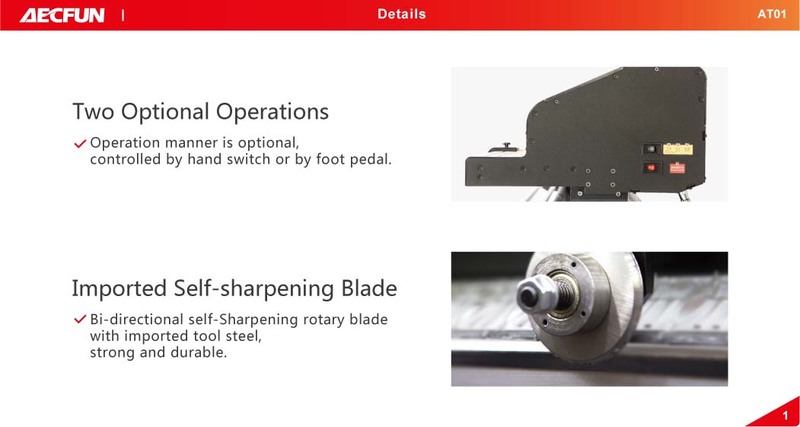 A: The blade is self-sharpening rotary, as long as the blade is not broken, it can be used all the time. 5. Q: Is the blade easy for replacement? A: 12 months. Warranty part: motor and circuit board. 7. Q: Do you have bigger one like 2.6 meters? A: No. Only 1.6m at present. 8. Q: How about the voltage and power? A: Output voltage: 24V,: Input voltage:110V or 220V; Power: 95W. 9.Q: Do you have the CE certification? Tips: Please make sure that the power is off when cleaning, maintaining, and replacing the machine parts.